It is George Washington’s birthday weekend the the three-day Presidents’ Day holiday. There are several activities honoring the first president including a parade in Old Town, free admission to National Parks and a birthday celebration at Mount Vernon. 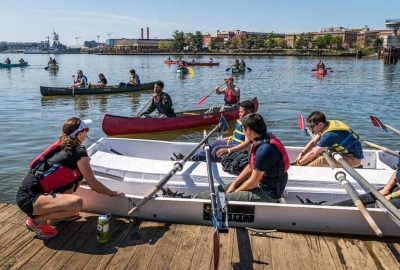 There are plenty of other things on tap this weekend too like Katsucon, Play in a Day, Alexandria Restaurant Week and the D.C. Independent Film Festival. Metro’s SafeTrack Surge 12 continues through Feb. 28, closing down the blue line completely and the Arlington Cemetery station, but free shuttle buses will operate between Pentagon and the cemetery. Red Line trains single track between Rhode Island Avenue and Takoma on Saturday with trains operating every 24 minutes between Shady Grove and Glenmont with additional trains between Shady Grove and NoMa-Gallaudet from 9 a.m.-9 p.m. On Sunday, Red Line trains will run on a regular schedule. Silver Line trains will single track between Addison Road and Largo Town Center and run every 20 minutes. Yellow Line trains will single track between Pentagon City and L’Enfant Plaza and operate every 20 minutes between Huntington and Mount Vernon Square ONLY. Yellow Rush+ trains will run every 20 minutes between Franconia-Springfield and National Airport. Orange and Green Line trains will operate on regular weekend schedules. Celebrate George Washington’s birthday all weekend at Mount Vernon and get free admission on Monday. Honor the birth of America’s first president at Washington’s Birthday Weekend, a weekend of festivities at Mount Vernon. 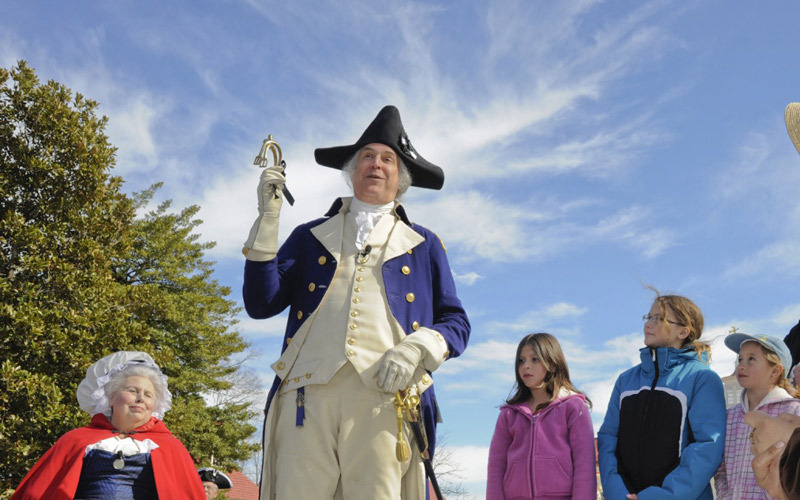 Pose like the president in selfies, take in character performances, have breakfast with the president, listen to classic stories, make a birthday card for the president, watch dancing demonstrations, have birthday cake with “General Washington” and more. Feb. 18-20 from 9 a.m.-5 p.m. at Mount Vernon, 3200 Mount Vernon Highway, Mount Vernon, Va. Tickets are $18 for adults, $16 for seniors 62 and old, $6 for youth 6-11 and free for children 5 and younger in advance. On Monday, Feb. 20, admission is FREE! 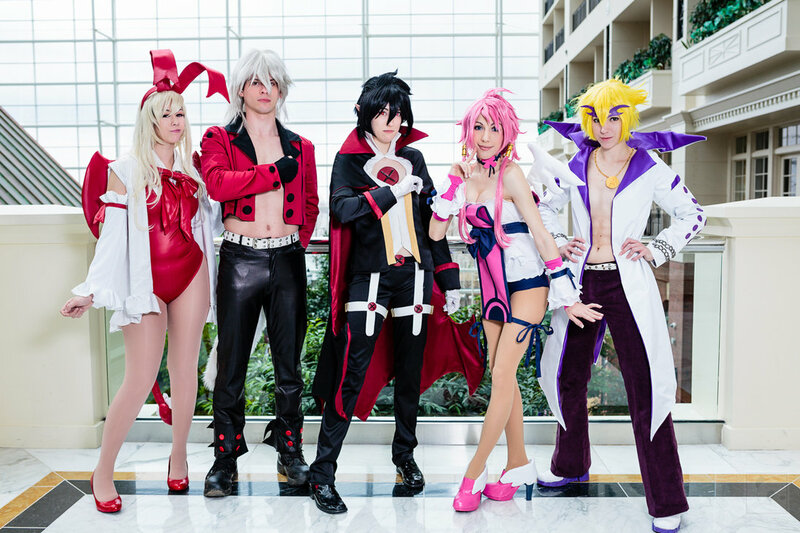 Katsucon is an annual 3-day convention focusing on anime, manga and other aspects of Japanese pop culture. Guests include voice actors and web comic artists, and the schedule is full of panel discussions, a fashion show at 6:30 p.m. Friday, a cosplay chess tournament from 1-3 p.m. Saturday, cosplayskits at 3 p.m. Saturday and a formal ball from 8-10 p.m. Saturday. Feb. 17-19 beginning at 10 a.m. on Friday and going round the clock until 3:30 p.m. Sunday at the Gaylord National Hotel and Convention Center, 201 Waterfront St., National Harbor. Weekend passes are $75 for adults, $65 for seniors and teens, $45 for youth and free for children 7 and younger. The D.C. Independent Film Festival, D.C.’s longest-running independent film festival, continues all weekend. This year it presents another diverse body of narrative features, documentaries, shorts, student films and animated works. Filmmakers can also nerd out at informative seminars and workshops. There will be several shorts screenings this weekend including the high school film competition screening is at 11:30 a.m. and Human Entanglements: Short Film Showcase at 3:15 p.m., both on Saturday; the Sunnier Side Up Shorts Program at 2 p.m., Animation to Expand the Mind at 3 p.m. and Late Night Shorts at 8:45 p.m. on Sunday; and Documentaries: Short, Sweet and Savory at noon on President’s Day, Amazing Animation at 1:45 p.m. and another screening of Animation to Expand the Mind at 5 p.m. Monday. 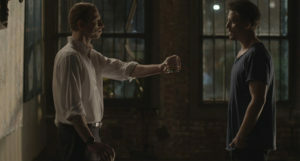 The closing film is Interior Night (left) at 6 p.m. Monday. With dozens of entries, the festival will premiere films from all over the world. Through Feb. 20 at various times at the Naval Heritage Center, 701 Pennsylvania Ave. NW. Individual tickets are $7-$12 online or at the door. Seminar admission is $16. All-day weekend passes are $40. 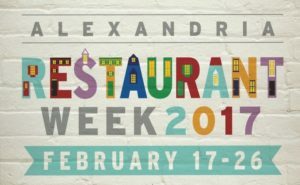 Alexandria Restaurant Week runs from Feb. 17-26. 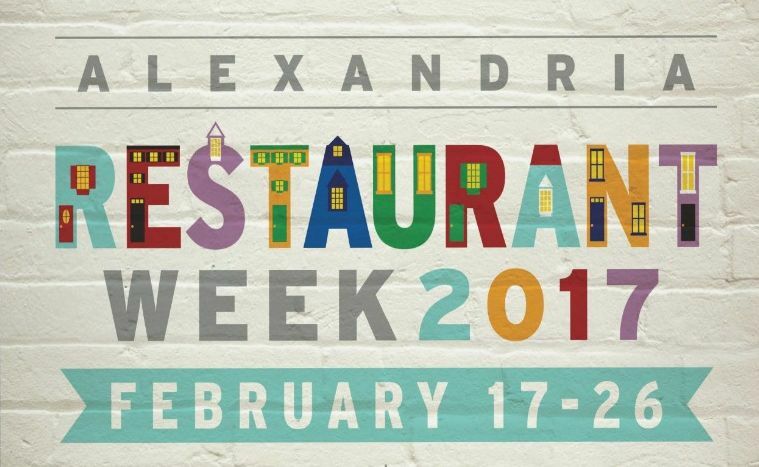 Alexandria Restaurant Week goes big with 70 restaurants and two weekends over 10 days with two dinner options and three lunch price points. Restaurants offer a $35 three-course dinner for one or a $35 dinner for two, giving you multiple ways to check out such old favorites as Vermilion, Restaurant Eve and Cheesetique. It also gives you a chance to sample new restaurants, such as Hen Quarter, Northside 10, Live Oak and Vola’s Dockside Grill. More than 30 restaurants will also offer lunch specials at $10, $15 or $20 per person. Feb. 17-26 for lunch at dinner at participating Alexandria restaurants. Dinner is $35 and lunch is $10-$20. Find participating restaurants here. The signature event of Maryland Craft Beer Lovers Month — aka FeBREWary — is Love Thy Beer: Winter Warmer Showcase, a new festival focused on seasonal ales. Twenty-four Free State breweries, such as Heavy Seas, Evolution, Peabody Heights and Brookeville Beer Farm, are offering a selection of stouts, porters and other cold-weather beers, Mission BBQ is bringing the food and blues bands provide entertainment. Chat with brewers and owners. A VIP hour from 6-7 p.m. features a selection of specialty beers including small batches, limited editions and selections from the cellars. Feb. 17 from 6-10 p.m. at the Silver Spring Civic Building, 1 Veterans Place, Silver Spring. Tickets are $65 for VIP admission at 6 p.m. and $50 for general admission at 7 p.m. Enter a world where adventure is awaiting and courage leads the way at Disney On Ice: Dream Big. Through enchanted pixie-dust, Tinker Bell takes you on a journey of beloved Disney tales live on ice. Make a splash with the fearless dreamer Ariel as she yearns to explore life above the waves. Watch Rapunzel, Cinderella and Belle as they learn about the power to make their own magic. Travel to the wintry world of Arendelle with sisters Anna and Elsa, and the hilarious Olaf from Disney’s Frozen as they learn that true love is the greatest magic of all. Be there to discover a whole new world with the daring Jasmine, and join Snow White, Aurora and Tiana as they remind you to always be strong, kind and fearless. 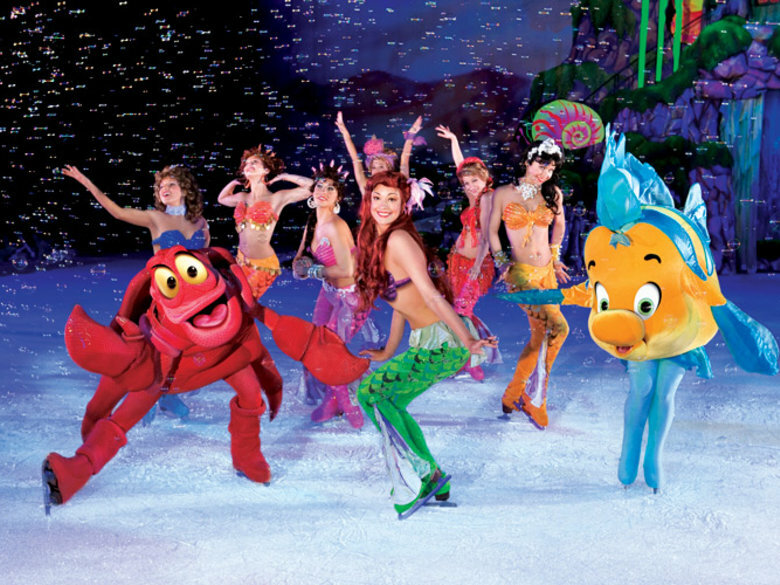 High-flying jumps, daring acrobatics, breathtaking skating and lovable Disney friends make this an experience your family will never forget. 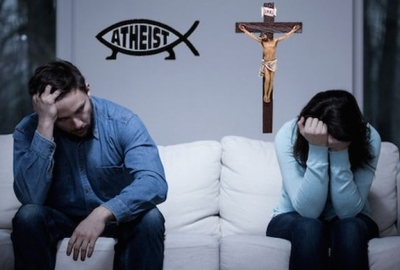 Feb. 17 at 7:30 p.m., Feb. 18 at 10:30 a.m., 2:30 p.m. and 6:30 p.m., Feb. 19 at 12:30 and 4:30 p.m., and Feb. 20 at 12:30 p.m. at the Verizon Center, 601 F St. NW. Tickets are $20-$171.45. 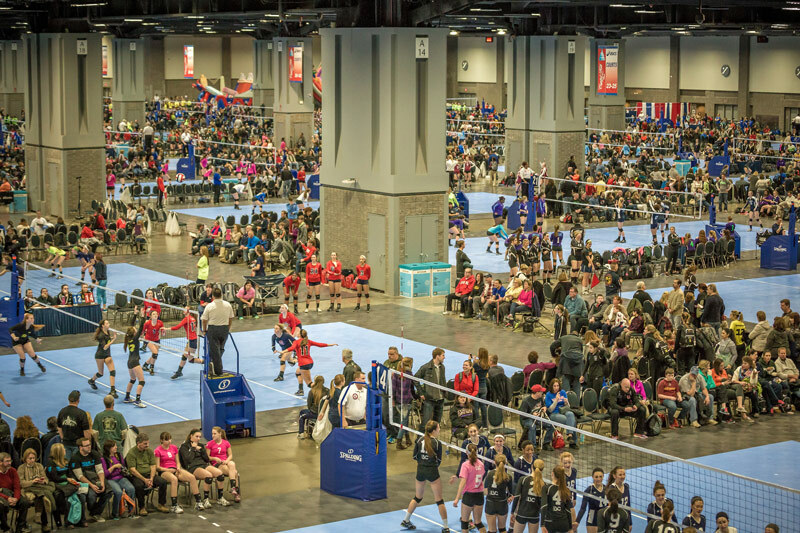 More than 900 teams will competed in the Capitol Hill Volleyball Classic this weekend at the convention center. More than 900 teams will participate in the Capitol Hill Volleyball Classic, a national tournament that brings together the best junior volleyball teams in the country. For three days, the convention center will showcase qualifier-style competition in one of the most exciting indoor sports. Feb. 18-20 starting at 9 a.m. at the Walter E. Washington Convention Center, 801 Mount Vernon Place NW. Admission is $30 for a three-day pass or $15 for daily passes. Children can participate in STEM learning activities at the Discover Engineering Family Day on Saturday. 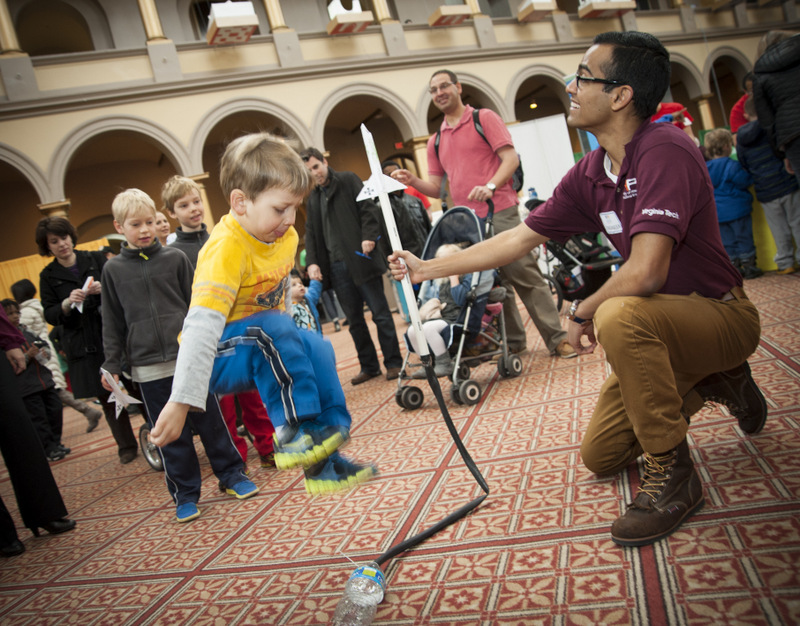 Aspiring engineers and scientists will love the Discover Engineering Family Day at the National Building Museum. Young visitors ages 6-12 can enjoy STEM education-related learning activities including launching rockets, making slime, popping popcorn and building towers to learn about engineering, construction and science, as well as talk with professional engineers. Other exhibits inlcude a replical of NASCAR champion Jeff Gordon’s racecar, former Space Shuttle Columbia astronaut Roger Crouch, appearances by stars of the PBS Kids TV show ZOOM, a model of one of NASA’s Mars Exploration Rovers and a Blind Driver Challenge simulator. Feb. 18 from 10 a.m-5 p.m. at the National Building Museum, 401 F St. NW. Admission is FREE! The Select (The Sun Also Rises) is the third in a trilogy of literadaptions along with Gatz (The Great Gatsby) and The Sound and the Fury. The Sun Also Rises, Ernest Hemingway’s first novel, is adapted by theatre ensemble Elevator Repair Service. In the play, a stage littered with liquor bottles and café chairs seamlessly transforms itself from the bistros of Paris to the banks of the Irati River; a long bar table roars to life and charges a champion matador; an out-of-control dance party takes off during a night of nonstop revelry. As the story winds its way through France and Spain and lands in Pamplona where bullfighting and the fiesta rage in the streets, Hemingway’s narrator carries the heavy burdens of a war injury and his inability to have the woman he loves; a woman whose amorous escapades he follows with bemused but painful fatalism. 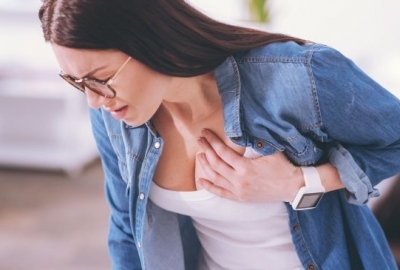 Feb. 18-Apr. 2 at 2 and 8 p.m. Saturdays, 2 p.m. Sundays, 7:30 p.m. Tuesdays and Wednesdays and 8 p.m. Thursdays and Fridays at the Lansburgh Theatre, 450 Seventh St. NW. Tickets are $59-$118. Six professional DMV theater companies will write, direct, rehearse and perform original plays based on similar themes in only 24 hours. 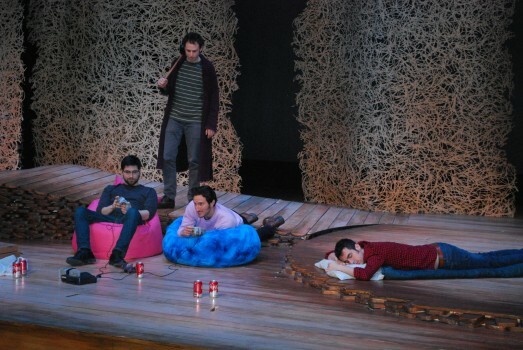 The plays will be presented at the 13th annual Play in a Day, a one-of-a-kind theatrical event. It kicked off Friday evening when playwrights and directors came together to received their assigned themes and props. Playwrights then worked through the night to create their 10-minutes masterpieces. As the sun came up, rehearsals began as teams of directors and actors prepared anxiously to make the 9 p.m. performance deadline. Feb. 18 at 8 p.m. at Imagination Stage, 4908 Auburn Ave., Silver Spring. Tickets are $15. 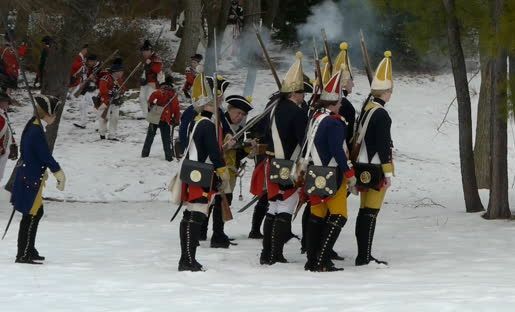 As part of Alexandria’s George Washington Birthday Celebration, there will be a Revolutionary War Reenactment with a historic cam and tactical demonstrations throughout the day followed by a Revolutionary War skirmish between the Red Coats and the Colonial Army at 2 p.m. There is also a free Walking with Washington Tour from 2-3:30 p.m. beginning at Ramsey House Visitor Center, 221 King St., Alexandria. The tour will include some of the site connected to the general, including where he filled his prescriptions and slept overnight. Feb. 19 from 10 a.m.-3 p.m. at Fort Ward Park, 301 W. Braddock Road, Alexandria. Admission is FREE! President Roosevelt signed Executive Order 9066 on Feb. 19, 1942, two months after Japan’s attack on Pearl Harbor, allowing for the deportation of Americans of Japanese descent into internment camps as World War II raged overseas. The order resulted in the imprisonment of 75,000 Americans of Japanese ancestry and 45,000 Japanese nationals in prison camps across the country, many being relocated far from home. Some 40 years later, the U.S. Congress formally recognized that the rights of the Japanese American community had been violated and President Reagan signed the Civil Liberties Act of 1988, providing an apology and restitution to the living Japanese Americans who were incarcerated during World War II. Righting a Wrong: Japanese Americans and World War II will explore this history through the Executive Order 9066 document on loan from the National Archives; original artwork by Roger Shimomura, who spent several years in the Minidoka Camp in Idaho; historic images and objects, and narratives of imprisoned Japanese Americans will be shared, highlighting how the constitutional rights of these Americans were violated. Ongoing from 10 a.m.-5:30 p.m. at the National Museum of American History, 14th Street and Constitution Avenue NW. Admission is FREE! If you are off this Presidents’ Day, spend it outside on this Free Entrance Day at one of more than 400 national parks. More than 120 parks that normally change an entrance fee are free today including battlefields. 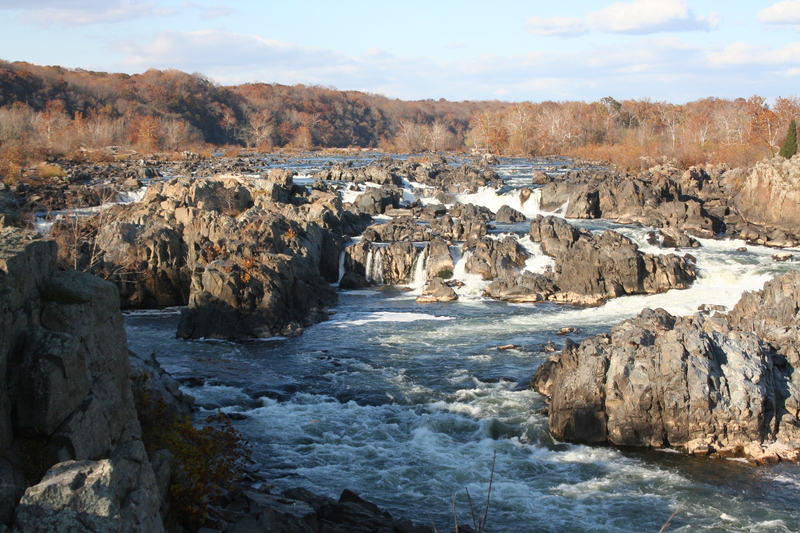 Locally, Great Falls, the Manassas and Antietam battlefields, Fort McHenry and Shenandoah National Park will let you in with a wave and a smile. Feb. 20 during regular operating hours at more than 400 national parks nationwide. Admission is FREE! 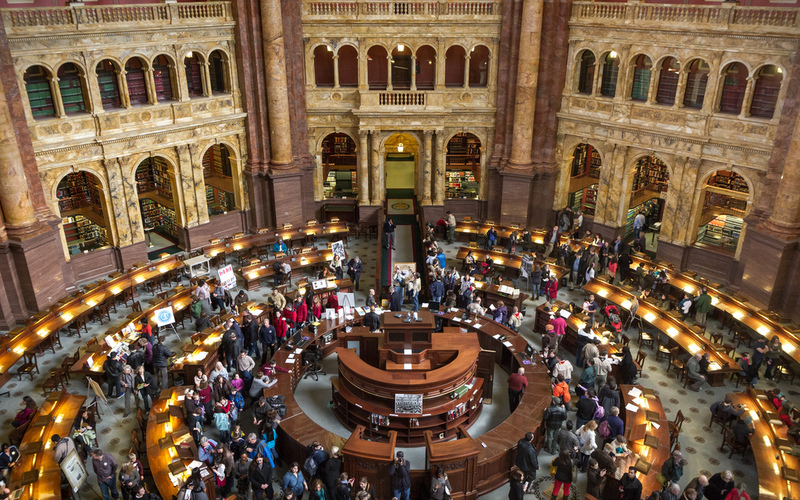 Twice a year, the Library of Congress holds an open house in its Main Reading Room to share information about how the public can access resources in the library year-round. 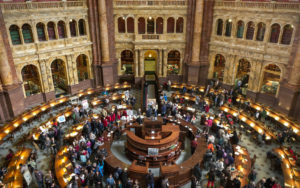 One of those opportunities is on President’s Day, when reference librarians will be available to answer questions and give instructions about how visitors can acquire a reader-registration card. The Young Readers Center will have activity stations and children and teens are invited to bring their own presidential props – top hats, pantsuits, American flag pins – and read a speech from a past president or a speech they have written themselves at the center’s presidential podium. Guided tours of the building will be given at 9:30, 10:30 and 11:30 a.m. and at 12:30, 1:30, 2:30 and 3:30 p.m.
Feb. 20 from 10 a.m.-3 p.m. at the Library of Congress’ Main Reading Room, in the Thomas Jefferson Building, 10 First St. SE. Admission is FREE! No one has been holding parades in honor of our first president longer than Alexandria. 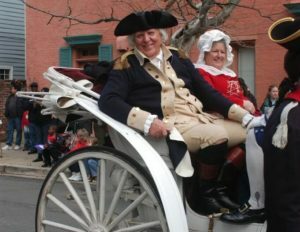 The George Washington Birthday Parade, a mile-long procession through the streets of Old Town, features horses, community groups and more. The parade steps off at Fairfax and Gibbon Streets, proceeds north on Fairfax to Queen Street, will it will proceed one block west before turning sound and marching down Royal Street to the end at Wilkes Street. From opening until 4 p.m., Gadsby’s Tavern Museum, 134 N. Royal St., Friendship Firehouse Museum, 107 S. Alfred St., The Lyceum, 201 S. Washington St. and Stabler-Leadbeater Apothecary Museum, 105-107 S. Fairfax St. will offer free admission. Feb. 20 at 1 p.m. along Fairfax and Royal Streets in Old Town Alexandria around City Hall. Admission is FREE!